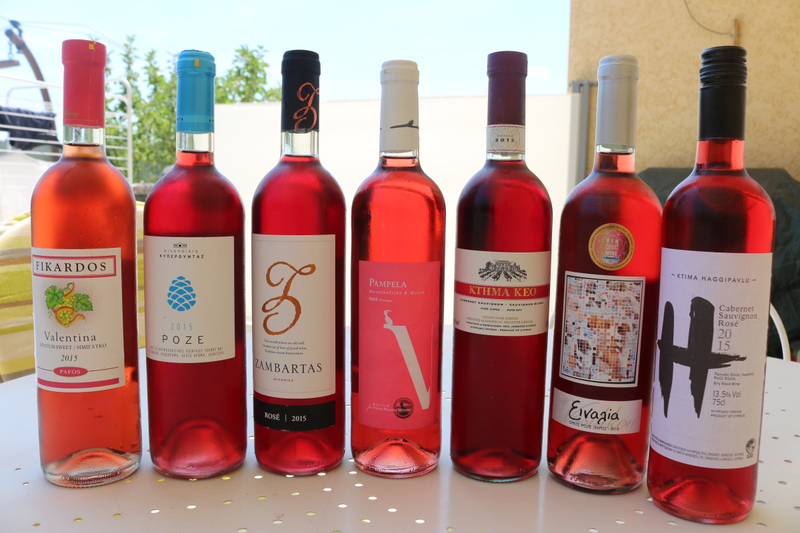 Besides Commandaria, many people I speak to claim Cyprus' best collection of wines are its rosés. I even wrote about it years ago, back when these pages were my main moneymakers yet my pockets remained as empty as a Houston street corner without a taco truck. So it came as a pleasant surprise when I found out via Twitter that Master of Wine Elizabeth Gabay, who lives in Provence and dedicates most of her work to that region (plus Hungary, Greece, Israel and Italy), had come across several bottles of Cyprus' finest (courtesy of Yiannis Karakasis MW) and written an excellent, in-depth piece on the selection. A while after, I reached out to Liz who was kind enough to answer the blog's "Case of Questions." À vôtre santé! Elizabeth Gabay (Liz): I don’t know. I grew up in a family which enjoyed good food, we spent holidays travelling around France, exploring and going to nice restaurants. This was in the 60s and 70s when there were excellent restaurants in every village – or at least that is how I remember it. My grandfather was a fruit buyer and my mother has always said visiting vineyards was the same – so maybe it was just always there as an interest. I was 16 when I got my first book on wine. Liz: The first time I really sat up and thought about wine – I was 21, going on an interrail holiday down the Loire valley, camping. At every campsite we arrived with food from the local traiteur and bottles of the local wine. I started a wine diary. My first wine tasting note said ‘Good.’ I still have the book. The next wine that caught my attention was at a trade tasting when I was 27. All I remember was that it was a Corton Charlemagne and it was WOW! Liz: No – I don’t have an all-time favourite. Liz: Difficult one. Provence because I know it so well and it was the first region I worked with. Italy is lovely – landscape, culture, people, the sheer artistry in their approach. Hungary – lovely variety. The enormous variety around the Mediterranean…. Mmmm, can I just say I love the Mediterranean region? It must be the most diverse wine producing region with no pretension. Liz: The most intriguing, Chateau Gasqui, Cotes de Provence. Their dry white wine with lemon cake is a perfect match. Liz: I have never been to Cyprus and have to admit that my main knowledge of the wines has been Cyprus dry sherry (from years ago) and Commandaria. Recently, tasting a range of Cypus rosés was interesting – different styles, varieties, etc. Living in France, the thing that is missing for me is the availability of the wines to taste. Liz: The interest in local varieties, the ability to use altitude to counter heat so a unique style of different tastes, ripe fruit with freshness. Liz: Meeting people, travel, exploring. Wine is such an ancient essential part of our culture and learning about wine – not just in a technical sense, but in exploring the cultural context of every region – I love it – there's always something new. What is your “Five Year Plan” for your career/business? 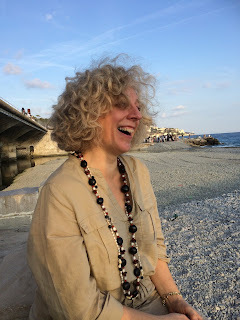 Liz: I have a book on the wines of Provence in the planning and a book on the history of the drink Punch which is nearly finished and a new project – creating a vineyard near my home at 1000m altitude – I am fascinated by altitude vineyards. Liz: The late Christopher Tatham MW – witty, intelligent, real old school wine trade – he could quote poetry and literature throughout a tasting, write naughty limericks and was an excellent distance spitter! Any embarrassing episodes involving spilled wine, corkscrews, sommeliers or drunken behaviour? Of course, your all-time favourite island wine? You can reach Liz on Twitter, Facebook or her personal website.